The most disadvantaged children need access to the best-supported teachers and effective professional development which not only helps teachers to thrive, but all pupils to succeed. In a new nationwide project funded by the Teaching and Leadership Innovation Fund (TLIF), the Teacher Development Trust has identified five CPD Excellence Hubs that will each use a rigorously evidence-based approach to transform teacher development in some of the most challenged schools and areas in England. 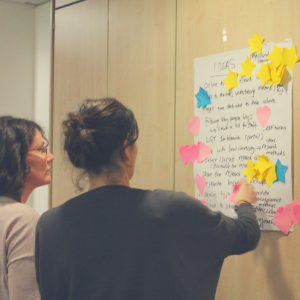 Rather than simply deliver training to leaders and teachers, we are taking an innovative approach to change the way that schools design, commission and implement CPD. The CPD Excellence Hubs Programme will be funded by the Department for Education (DfE) through their Teaching and Leadership Innovation Fund and will provide school-based ‘Expert Advisors’ to intensively support local schools in five priority areas across England. half-termly attendance at local forums to share best practice around pre-identified CPD needs. Due to the varied and contextual nature of the CPD support we are proposing, this will take place both during and outside of school hours, in school and externally. Schools will receive funding (the equivalent of a half-day per week) for the time and capacity necessary for senior leaders to engage with these unique Hub opportunities, as well as with the TDT Network, the national partnership of schools and colleges dedicated to effective, evidence-based professional learning. How do I become a partner school? Recruitment will be managed locally by hub leaders, who will approach eligible schools in their areas, however, we encourage any school to make an enquiry with us via our contact page and express their interest in taking part. Please note that in order to be eligible, partner schools should be located in one of the project’s priority areas (Blackpool, Northumberland, Sheffield/Doncaster, Stoke-on-Trent and South Central), and their overall effectiveness should be rated as not yet Good (i.e. category three/four) according to the most recent Ofsted judgement. For more information, including any media enquiries, please contact enquiries@tdtrust.org. To find out about the Teacher Development Trust’s work as the national charity for effective CPD in schools, click here, or learn more about joining our network of over 220 schools and colleges across the UK, click here.